Your family is busy with the hustle and bustle of daily life, from school, play dates, and after-school sports to work, the gym, errands, and everything else. It’s hard to find time to spend all together as a family, free from obligations and deadlines. That’s where Hotel Colorado comes in. Glenwood Springs is the perfect place to unwind, relax, and recharge for the whole family, whether you just want to wander around town and shop or go on an adventure that’ll get your heart rate up and your adrenaline flowing. Here are just a few of the exciting things your family can do in Glenwood Springs. Glenwood Hot Springs Pool is the largest naturally-heated pool in the world, with over a million gallons of mineral water, naturally heated to a balmy 90 degrees for the whole family to enjoy. And if you need some deeper relaxation, take a few minutes to unwind in the therapeutic pool, an additional 60,000 gallons heated to 104 degrees to really melt away stress and soreness. If your family is feeling adventurous, Glenwood Springs is the place for you! From casual walking trails to serious mountain outings, you can find whatever you’re looking for near town. If the weather is nice and you just want a casual afternoon out, check out the Glenwood Canyon Trail. It’s a little too snowy for bikes in the winter, but you can still go for a beautiful walk among the steep cliffs of Glenwood Canyon. If you feel like hiking, Red Mountain’s trailhead is right on the edge of town, easy to get to from anywhere in Glenwood Springs. It can be snowy in the winter, but the road is wide and not too steep, so it should be easy to navigate with sturdy hiking shoes, even in winter. Another good winter trail is the short hike up to Doc Holliday’s grave. Though no one knows the exact final resting place of Glenwood Springs’ most famous gunslinger, the marker is less than a mile from the trailhead in downtown Glenwood Springs, and it’s a beautiful short hike any time of year. If the weather outside is simply too frightful, or you’re looking for something to do after dark, check out the Glenwood Vaudeville Revue! Fun for the whole family, the Glenwood Vaudeville Revue offers a variety of dinner theater, concerts, and even silent movies to keep your vacation going after dark. Want something a little more interactive? Try the Glenwood Escape Room! Packed with secret passageways, hidden compartments, and clever puzzles, you’ll solve a series of clues that will lead you to the way out of the room and make for a memory your family will treasure. Tucked in the mountains just 15 miles south of town, Sunlight Mountain Ski Resort is the hidden gem of the Colorado ski scene. It features 700 acres of skiable area, 2000 vertical feet of elevation, and every terrain type you could want, from long, rolling bunny hills to the East Ridge, the steepest lift-serviced runs in the state — and all the moguls and trees in between. But best of all, Sunlight is family-budget-friendly. Skiing is a pricey hobby, and a single day of skiing at Aspen or Vail for a family of four could cost almost $500. At Sunlight, the same day of skiing would cost less than half the price. The best part is that you can roll this all together into one great vacation. 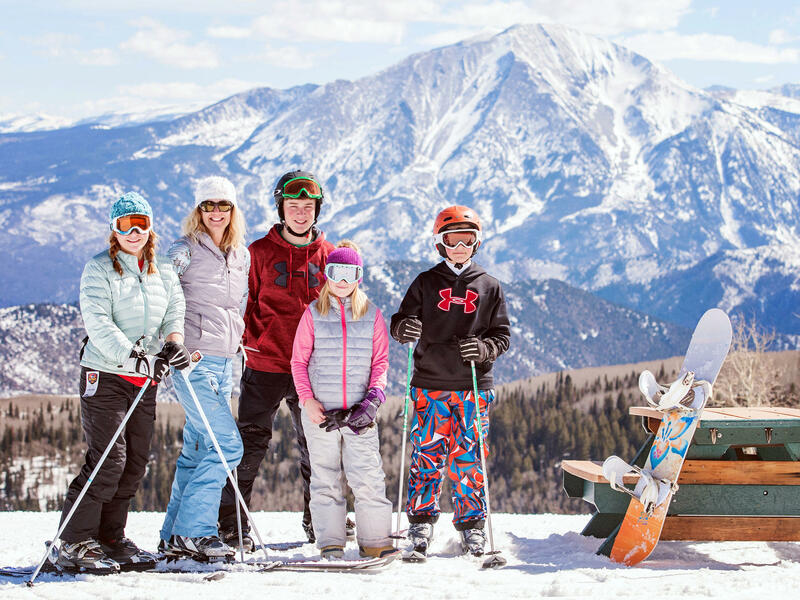 With the Ski, Swim, and Soak package, you can get discounted lodging, access to the famous Glenwood Hot Springs Pool, and free ski tickets for kids under 12 years old. Your whole family can take the time to unwind on a vacation as relaxing or as exciting as you want — without blowing your budget.